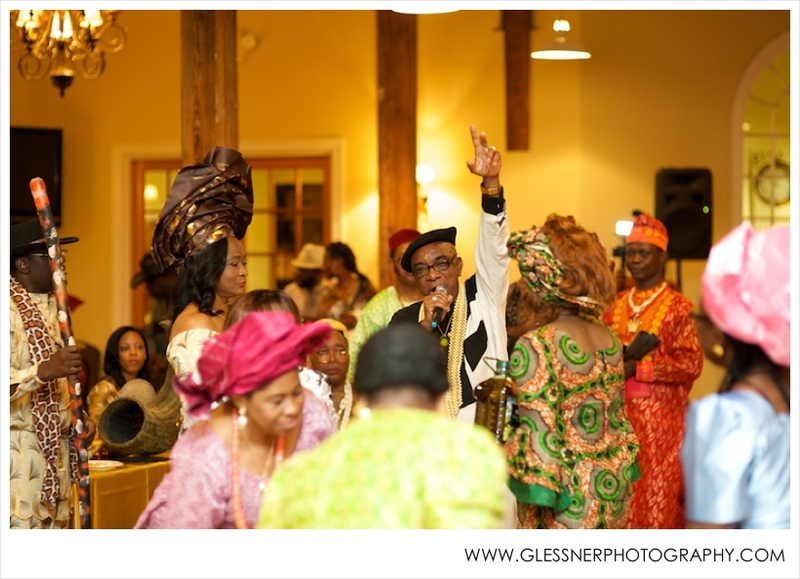 Last weekend, we had the honor of photographing Joseph and Chika's wedding celebration, which began on Friday with a Nigerian wedding ceremony. This being our first traditional African wedding, we weren't really sure what to expect, but we were greeted by a lovely, vibrant celebration filled with cultural traditions, colorful attire, and plenty of dancing. Joseph and Chika and their loved ones certainly know how to have fun, and we had a great time capturing such a beautiful event! After both the bride and groom's family made their entrances, all were welcomed to the event with a ceremonial breaking of the kola nut. During this portion of the ceremony, the bride's father provides her with a cup of wine, and she must find her groom amidst the guests and offer the wine to him to drink. Aren't they a gorgeous couple?! Watch out for Part 2 of Joseph+Chika's beautiful wedding weekend coming soon. Like us on Facebook to get the latest updates!